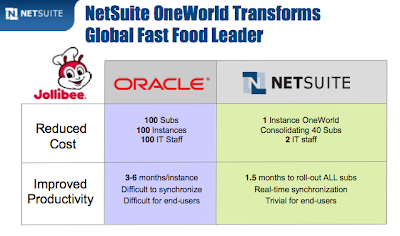 NetSuite Inc., the industry's leading provider of cloud-based computing/ ERP (enterprise resource planning) software suites introduced the NetSuite OneWorld PH, the first cloud-based ERP suite in the Philippines. 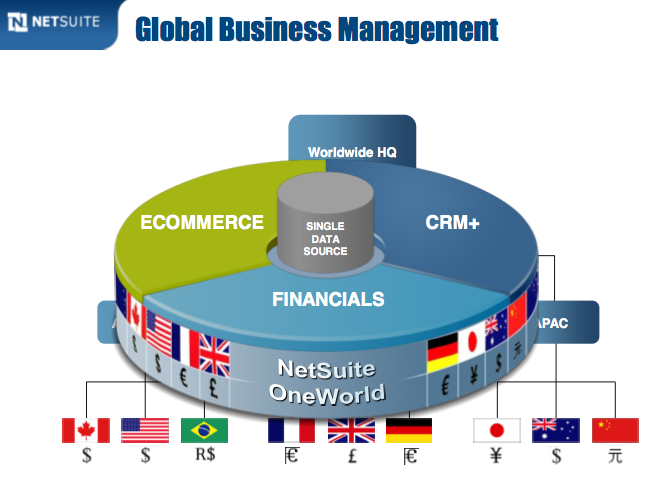 It also announced the appointment of Mark Troselj (pronounced Trosely) as NetSuite's Asia Pacific Managing Director. 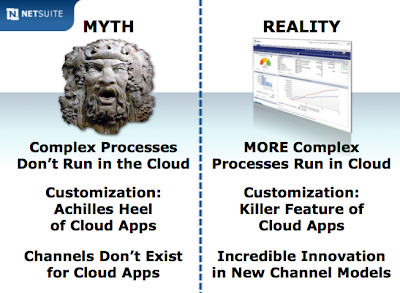 This event was held on October 14, 2010 at the Manila Peninsula Hotel. 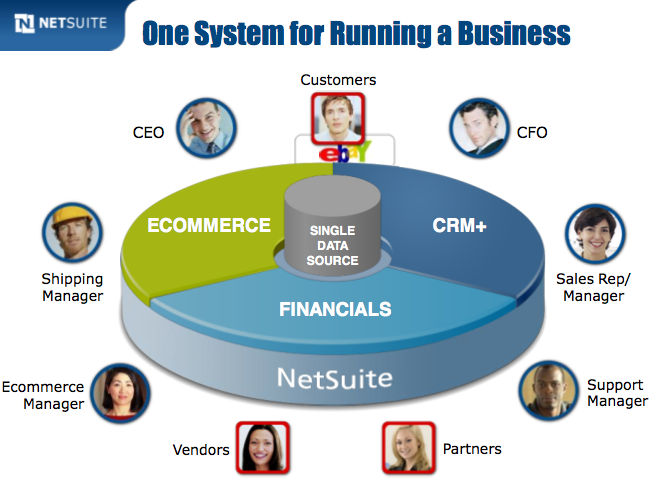 NetSuite Inc. (NYSE:N) is the leading vendor of cloud computing to manage core business operations in a single system, which includes accounting or enterprise resource planning (ERP), customer relationship management (CRM) and E-commerce. 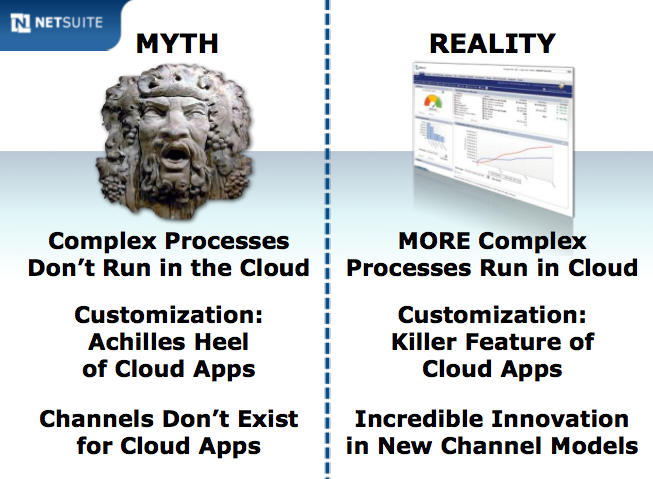 The company was founded in 1998 by Oracle CEO and Chairman Larry Ellison and his leading technology guru and current NetSuite CTO and Chairman of the NetSuite Board, Eva Goldberg. The software program practically manages all personal and financial data of any organization, school or company. 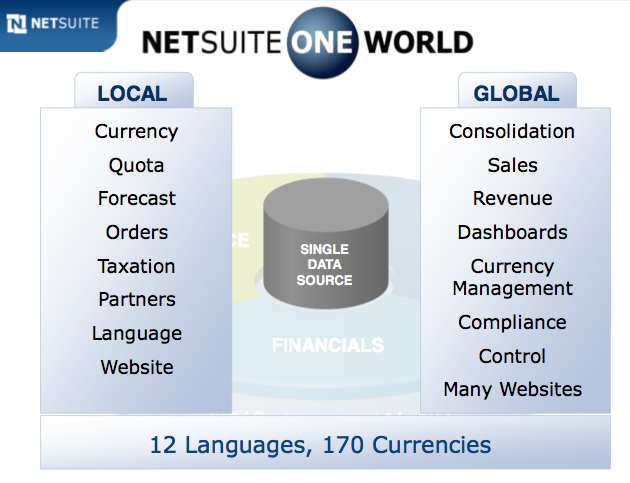 The NetSuite OneWorld PH software program has been fully localized following rules in accounting, statutory and regulatory requirements of the Philippine market, including tax reporting requirements mandated by the Bureau of Internal Revenue (BIR). It is a perfect solution for the Philippines to manage businesses in the cloud with unparalleled flexibility, convenience, time saving and cost efficiency. 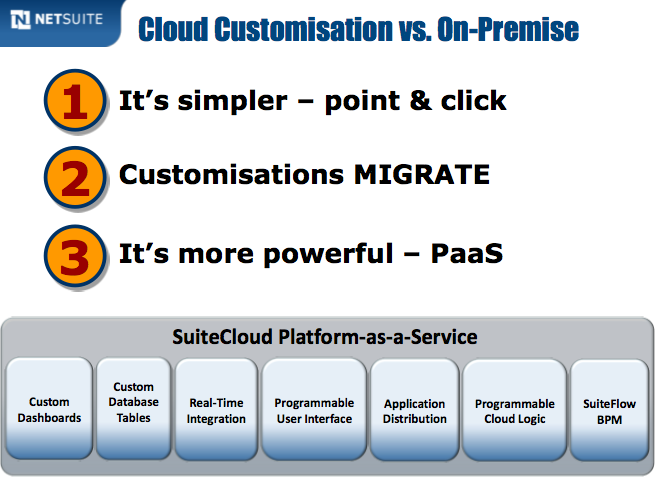 Imagine using an amazing software to manage, compute and secure information in the cloud in real-time, translated in 12 languages and with 170 currency conversions. 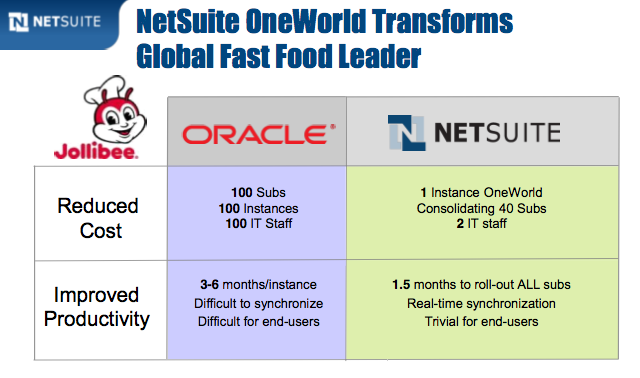 Companies who have so far chosen NetSuite as their trusted software to manage their business include: (1) Jollibee Foods Corporation, (2) ABS-CBN TV Network, (3) The Institute of Culinary Arts and Food Service at Far Eastern University (FEU) - a joint venture between Pancake House and the university, (4) Advanced Nutritional Technologies (ANTECH) Inc., with Dr. Edwards Sterilized Drinking Water as their main product, (5) MOTECH Automotive Education Center, Inc., and (6) SQL Wizard. 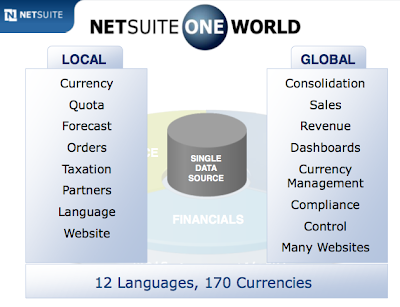 NetSuite opened its first office in the Philippines in 2007 located in Makati City. 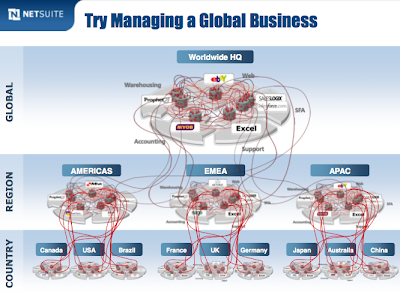 The company also holds offices across the United States, Canada, the United Kingdom, Australia, Singapore, Hong Kong and Japan. It has approximately 1000 employees worldwide and about 6,600 active clients as of December 31, 2009.